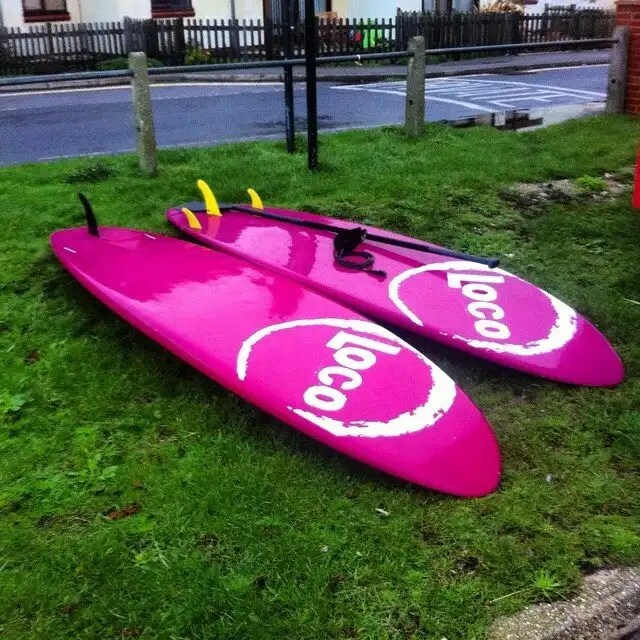 Posted on November 24, 2014 by loco wrote in Articles, Competition, Featured, Flat Water, Loco, Loco SUP Racing, News, Uncategorized. It has 1 Comment. I first got into paddleboarding through a friend of mine who had set up a small group of people who were willing to get up on a Sunday morning to go out and enjoy some time on the water. I instantly fell in love with the sport. 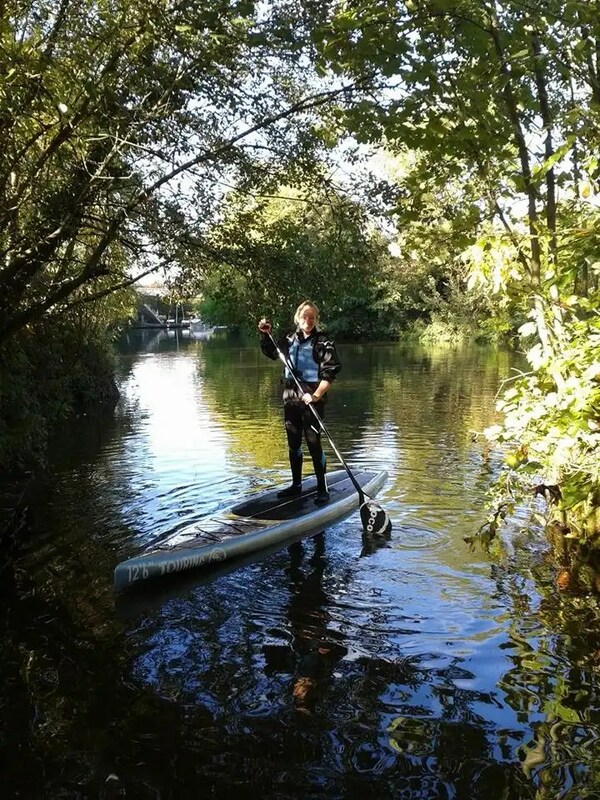 I find SUP the perfect way to stay active, it engages all of your core muscles and improves balance whilst also allowing you to take in some beautiful scenery and explore new places. The 12’6 Loco touring board not only looks great, it is also stable without becoming sluggish and it is surprisingly light to paddle. This board is perfect for leisurely paddles up the river but it is also allows you to pick up some speed if you are wanting to try your hand at any sort of race training. My race training so far is going fairly well. I have managed to get out on the water at least once a week and go for a few hours, but as the nights draw in it is starting to prove a little more challenging to find time in the evenings. I have, however continued in the spirit of the Sunday morning paddlers and have been out most weekends. 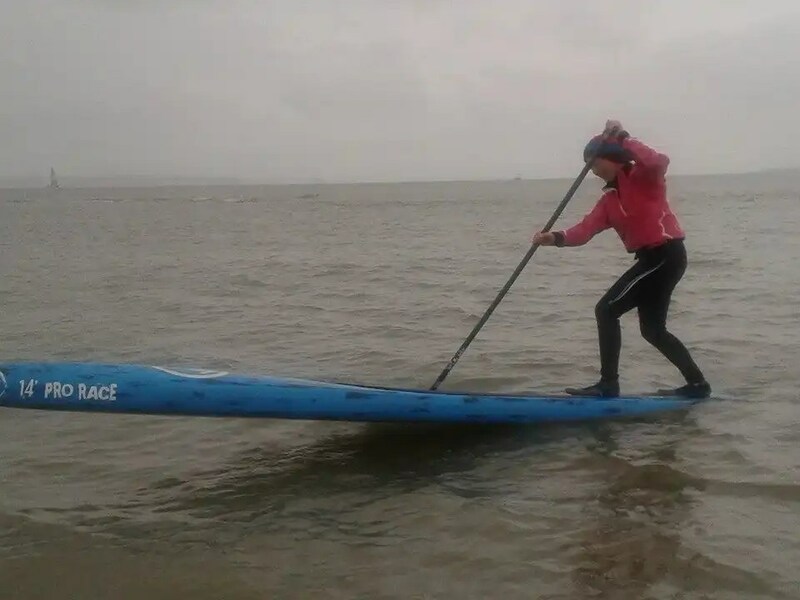 My first race was Stage 1 of the Bay Sup Frostbite Series. It was a technical race which was a challenge in itself. I have never surfed or attempted a buoy turn before so I had a lot to learn. The first lap was “interesting” pretty much the smallest waves I have ever seen proved difficult and managed to sink my nose and throw me off the front. 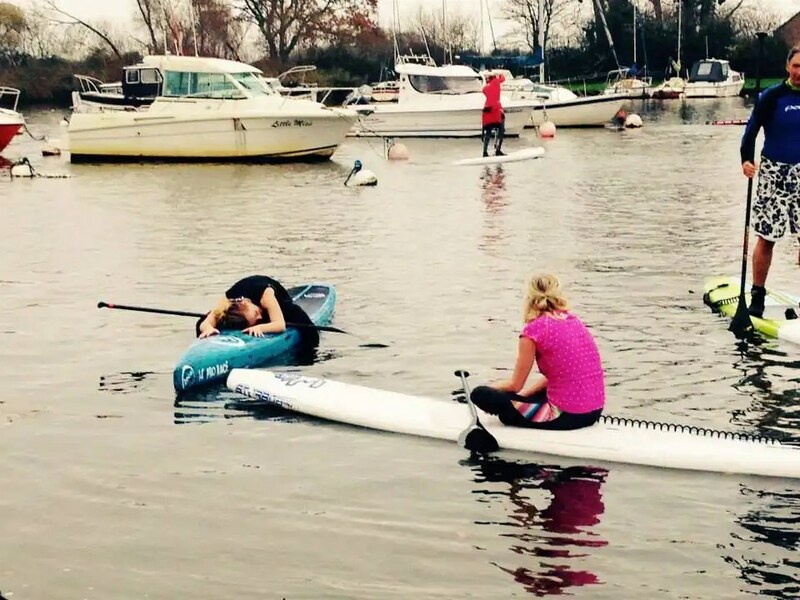 It was completely different to my training on the river but with every lap my times improved. I managed to get the hang of the course and the many buoy turns, by the final lap of the race and, despite finishing last I had a great time and would recommend racing to anyone! I would like to say a huge thank you to the guys from Loco for all of their support and tips going into the race it was a great help! I now had some ideas for what I needed to do to improve but still needed some help. I set off to West Wittering to meet Phil May, another Loco with more race experience for some flat water training. He gave me lots of tips for technique and also where to stand on the board. I also got to try out Loco’s 14 foot race board which was much faster but much less stable than the board I was used to riding! I also managed to do a couple of buoy turns as well! The following morning we went for a surfing lesson unfortunately I didn’t manage to catch any waves but I had a great time! There were lots of spectacular wipe outs and also a lot of swimming. 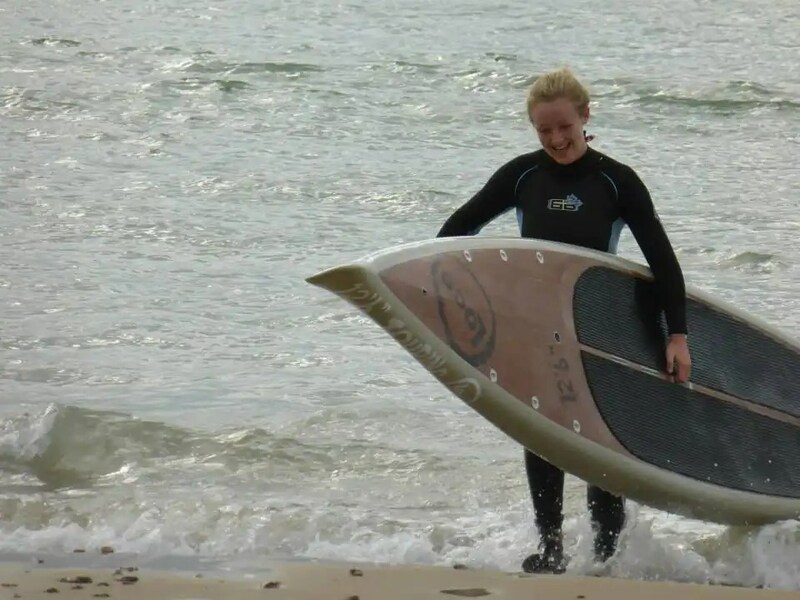 This lesson also gave me a chance to try out Locos 8’11” and 9’5” allround surf SUPs. I think with a I would really love SUP surfing. I then made my way back to Maidstone. The weather wasn’t kind so much of my training was in the gym doing cardio and free weight strength training before Stage 2 of the Frost Bite Series. 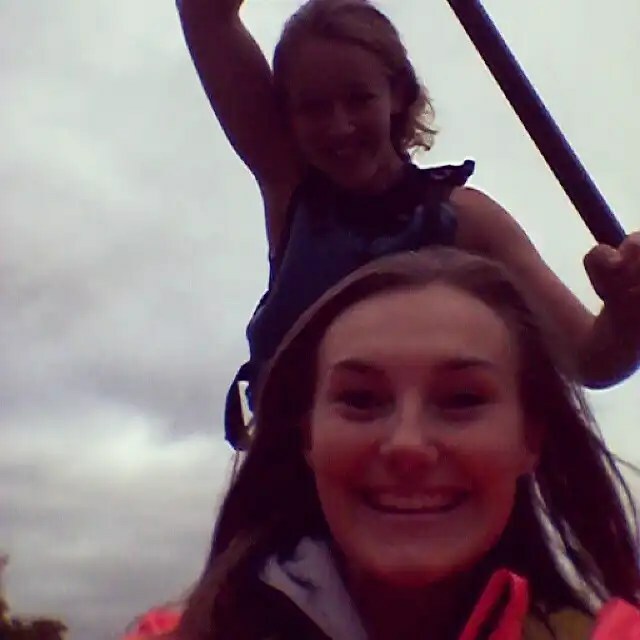 I did, however, manage to get out on the water with the beautiful Rhi Smith to introduce her to the sport. This time I raced on Loco’s 14ft race board this board was incredible! I loved every second of racing it. 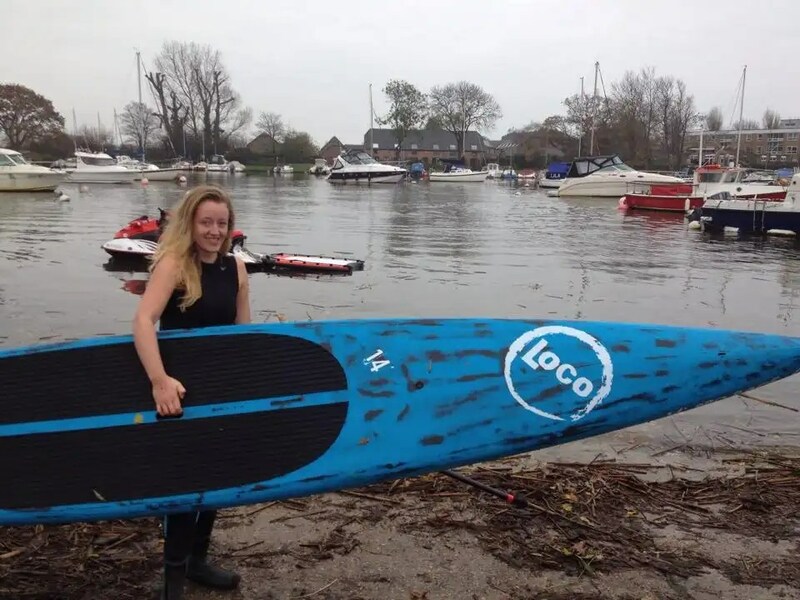 Again a huge thankyou to Loco for letting me try out all of these boards and for the experience that is SUP racing. I am really enjoying it and I cant wait for stage 3 in December. Thanks for the write up Hannah and we look forward to catching up with you after your next race. If anyone is looking for a super light and versatile pro race board stay tuned for a our pre-Christmas SUP sale where you’ll be able to secure a 2015 shape at a crazy one off price!! 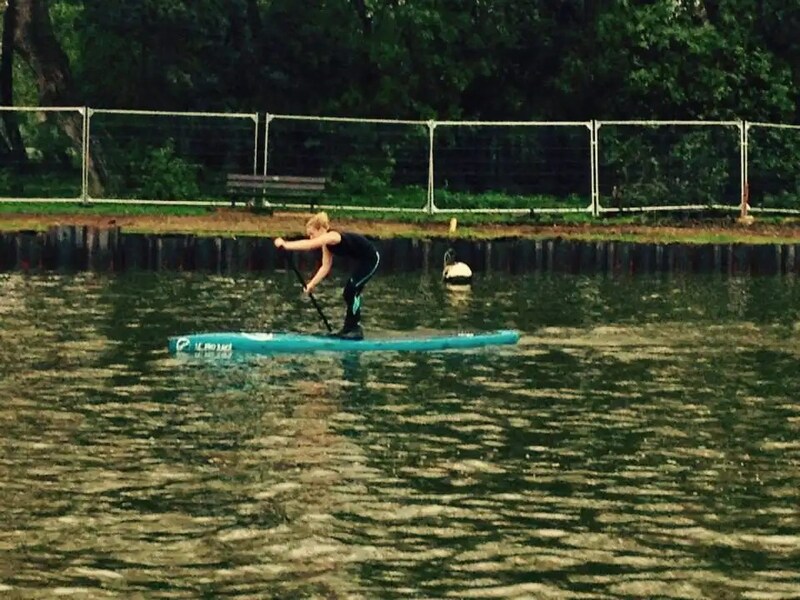 Can flat water SUP training promote paddle surfing success?